However, without science curriculum actually designed for NGSS, this kind of learning cannot happen. Click a link below to go directly to the specific section. Let’s take a look at the difference between curriculum that is "aligned" with the Next Generation Science Standards and curriculum that is actually designed for it. The unfortunate truth is that you can access resources from the National Science Teachers Association, educational companies, and so on and find an almost infinite number of resources that claim to be aligned to NGSS. But if they are not, in fact, designed to support the standards, they fall short of the mark. They do not encourage higher order thinking, they do not engender the formation of science and engineering skills, and they fail to develop student mastery – the ability to face any question or problem and understand how to go about designing an experiment or prototype that will help them work toward an answer or solution. And that is what NGSS requires. The reason NGSS requires this shift is that when students are challenged to be scientists and engineers, they are actually developing the creative, evaluative, and analytical thinking skills that are useful for any college or career choice. That's key. That's what opens a world of opportunity to any student. But to achieve that, classrooms need to be equipped with resources that are truly designed for—not merely aligned to—the Next Generation Science Standards. So without further ado, let’s jump in and explore the differences between aligned and designed. When classrooms implement curriculum that is intentionally designed for NGSS, students have a much more meaningful learning experience than when the curriculum is superficially “aligned” to the standards. This is because only curriculum that is truly designed for the standards will help students learn how to think critically, meet the performance expectations of NGSS, and step into the shoes of scientists and engineers. Oftentimes curriculum companies add an “aligned for NGSS” label to their product and list standards that they cover. However, for teachers and districts evaluating curriculum, it can be difficult to know how effectively the resources meet the goals of the NGSS. 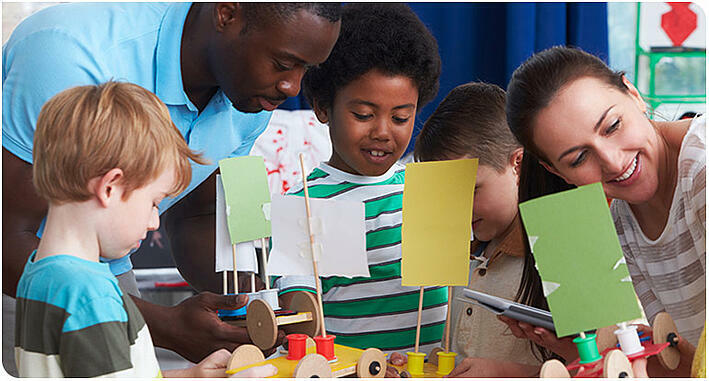 There are three key features that all curricula truly designed for NGSS share that those merely aligned to NGSS don’t, and it is these features that allow students to BE scientists and engineers every day in the classroom. Feature 1: The lessons involve a real-world context, a phenomenon that students will explore. Every NGSS-designed lesson needs to involve real-world phenomena, what NGSS calls anchor phenomena, to drive student engagement. Phenomena are the context in which scientists and engineers develop new knowledge. They are complex, real-world situations that can be investigated in the classroom through an investigation that students or student teams have planned, and are a way of encountering a thread of often much more complex ideas. Anchor phenomena can lead to both questions and problems. In either case, they should create a dissatisfaction that motivates students to investigate so they can either answer the question or solve the problem. 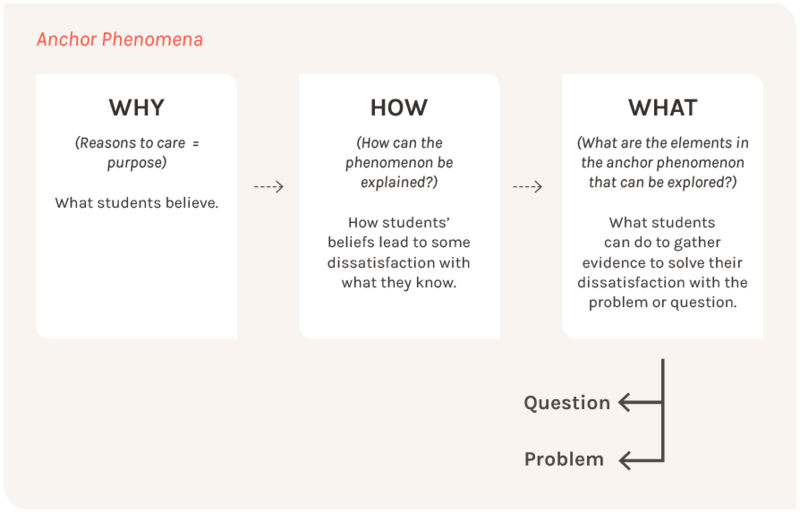 The anchor phenomena lead to questions and problems, which in turn lead to student dissatisfaction about what they know. In other words, there are aspects of one or more phenomena that students don’t know and that leads to dissatisfaction because students want to know more. In its scientific context, the question gives rise to a scientific investigation in which students plan to try and answer that question, to do a hands-on investigation to observe the phenomenon for themselves, and then form an evidence-based conclusion. That's the scientific process.That It’s an experience, a thread of the anchor phenomenon that a student or student team can encounter hands-on in front of them. In the case of engineering, an anchor phenomenon may give rise to a problem that students want to solve, in which students plan to create a prototype that solves the problem, to use available materials to design their prototype and test it, and then form an evidence-based conclusion.That’s the engineering process. It’s an experience with investigative phenomena that will again yield data that students can use to reflect on whether or not their prototyped solution actually solves the problem. Whether it's in the context of a question or a problem, what happens in the scientific process or the engineering process is investigative phenomena, where students are observing for themselves the results of their ideas in real time. They can use their data in an evidence-based conclusion, which is a critical part of the learning process. It is a point of reflection back on the anchor phenomena. We can use a scientific process to investigate different earth materials and how water passes through them to come to an evidence-based conclusion about the impact on flooding of the materials that are found in the streets of New York City. The reason to reflect back on the anchor phenomena is to help try and ease student dissatisfaction by learning more hands-on about the anchor phenomena. That's science in a nutshell. Then students might come up with ideas about how the flooding could be solved. For example, they may have learned about tidal barriers, so they might design some prototypes, test them, gather the data, form a conclusion based on that data, and then reflect back on whether tidal barriers would be a solution to the problem with which they are dissatisfied. When you can put anchor phenomena to work in the classroom as real-world contexts enabling students to reform their framework and understanding of the world, the result is dynamic learning. This is students actually being scientists and engineers, developing and using higher order thinking skills. That’s why it’s so important to think about the curricula and tools we're using in the classroom, and whether or not they’re appropriate under these new performance-based standards. Many classrooms use a K-W-L (What I Know, What I Want to Know, and What I Learned) model to guide student learning. However, curriculum that is designed to hook students with phenomena so they can develop new knowledge often takes a “Why-How-What” model. This “Why-How-What” (W-H-W) model is a modification of the standard K-W-L chart, which asks students to list out what they already know, what they want to learn in the lesson, and what they learned at the end. Instead of trying to start the student experience with what they know, start with why. In the case of KnowAtom, we use nonfiction text, visuals, and sometimes even videos as the beginnings of anchor phenomena. The purpose is to establish a reason to care. We want to connect with what students believe, giving them a reason to care about, say, flooding the streets of New York City. 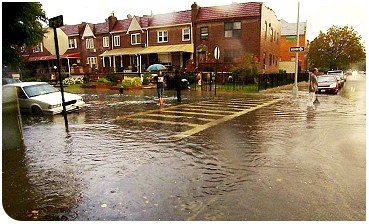 Several questions we can put to students are: Why do we care about flooding in New York City? Why does flooding occur? Why do some areas flood more than others? Once students have a reason to care, the next type of questions to ask are how. For example, how does flooding occur? How do the properties of the ground surface affect the amount of flooding that occurs? In the case of engineering, how can the effects of flooding be reduced? The final question to ask is what. What are the elements in the anchor phenomenon that we can explore? What are the problems or questions that we see with one or more aspects of the phenomenon? This is where students become dissatisfied, where they examine a belief to find out what's really behind it. What evidence do they have for believing it? If they say it's because the street is concrete, how do they know that it's because the street is concrete? What we're doing is moving from the anchor phenomenon toward investigative phenomena. What kind of investigation will lead to evidence that might solve our dissatisfaction with what we know about how water and concrete interact, for example, or what it means when sea levels rise or how tidal barriers work? FEATURE 2: STUDENTS LEARN HOW TO PLAN THEIR OWN INVESTIGATIONS. The expectation of these new standards is that students engage as scientists and engineers as the means of developing their understanding. The emphasis is on students’ developing and using the content as scientists and engineers, engaging in risk taking and problem solving, and explaining through investigative phenomena. In other words, what’s important is that students can perform independently. What is their skill set? That’s the important question. Your skill set as a teacher needs to help support your students in their productive struggle through that planning process so that they actually internalize the skills and develop them as a habit when they encounter something that requires investigation or when they encounter something that does not meet their framework of understanding. This feature is closely related to Feature 1 because part of the challenge here is to engage students in a complex real-world situation that causes them to be dissatisfied in some way, either with what they know or what they can explain or with the fact that this phenomenon even exists. 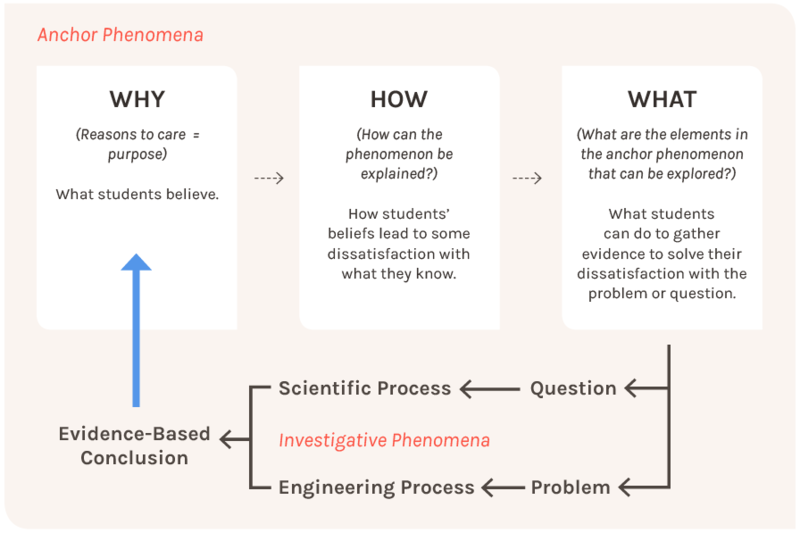 The key part of Feature 2 is that NGSS-designed curriculum puts the student in the position of being dissatisfied upon encountering the anchor phenomena. This leads to student-generated questions or problems, and the curriculum supports students as they learn how to plan their own investigations based on those questions or problems. The problem or question becomes the entire platform for a student-led investigation that has the potential to answer the question or solve the problem, so the students can form conclusions based on their data. This is how the three dimensions of the NGSS come together: There's a content piece (disciplinary core ideas), a skills piece (science and engineering practices), and a systems thinking piece (crosscutting concepts) that go on within the scientific process if we're trying to answer questions, or within the engineering process if we’re trying to solve problems. The science and engineering practices are really the key to this next generation shift because they are the skills that students need to develop in order to approach problems and questions with an eye toward solutions and answers. Content is not enough anymore; it is the formation of skills, and the ability to develop and use content, that is so vital to the classroom experience today. These practices are very specific, involving eight steps that work together to give students the ability to engage successfully with phenomena and situations that they have not encountered before. Upon gathering evidence and forming a conclusion based on their experiments, students then relate their own experiences back to that initial anchor phenomenon, the one that caused them dissatisfaction in the first place. They now have the necessary real-world, interactive, investigative experience needed to revise their framework of understanding and gain real skills and meaning from the lesson or unit. When students take on the role of scientist and engineer, they actually use the practices to access content, to develop and use the content as they authentically answer questions and solve problems. This type of next generation of inquiry can happen anywhere and at any age. Feature 3: The standards are taught in groups, not in isolation. The final feature of all truly NGSS-designed curricula is that the standards are taught in groups, not in isolation. Only by teaching standards in groups and relating them to one another through crosscutting concepts using systems thinking behavior can we help students master the three dimensions. In addition to the well-known three dimensions of the Next Generation Science Standards, there is a somewhat lesser-known dimension called the nature of science and engineering. 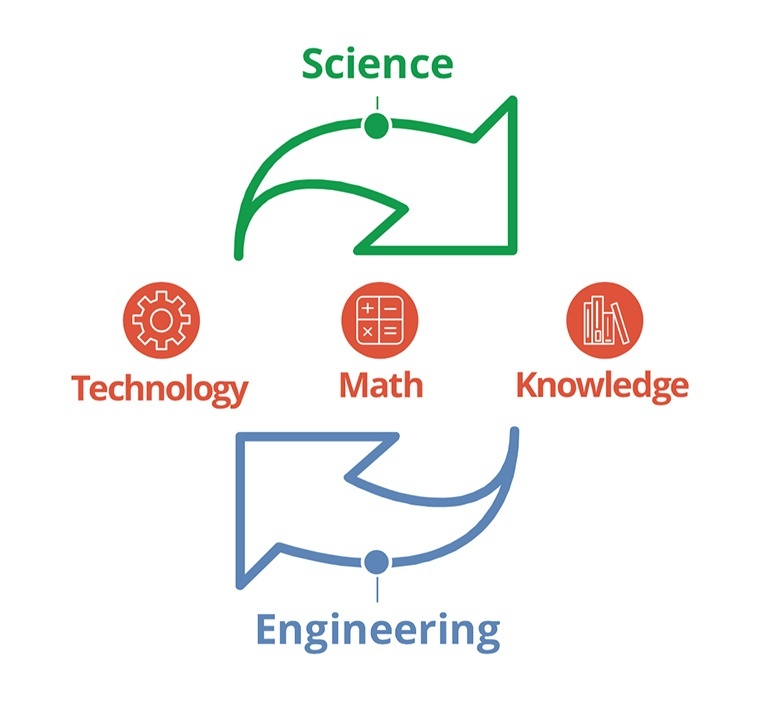 This dimension defines science and engineering and explains how they are connected in the STEM cycle. The nature of science and engineering is that they form an interconnected cycle, in which science adds new knowledge that engineers use to solve problems, and engineers, by solving problems, enable scientists to fine-tune their queries and generate newer and more detailed knowledge. Technology, math and knowledge facilitate the cycle. NGSS-designed curriculum needs to integrate this dimension as well so that students understand the context in which they are developing the three dimensions of content, systems thinking, and skills. For example, the 4th dimension of NGSS clearly defines science as knowledge from experimentation. When your students are talking about science, they should be talking about knowledge from experimentation. If they're talking about being a scientist, they should be talking about answering questions through experimentation – planning and using experiments to gather data and grow their own knowledge. Similarly, in an engineering context, the process is about taking that scientific knowledge and using it to solve identified problems. An engineer, quite simply, identifies and solves problems. Taking the knowledge of science and identifying and solving problems before coming to evidence-based conclusions about prototypes is exactly how engineers go about trying to solve a problem, and we can replicate this closely with our students. They create a prototype solution. They test it. That's how they get data to inform themselves about that potential solution. If it actually solves the problem, it can then become technology. Technology enables scientists to ask new and deeper questions through the scientific process, and so the cycle feeds itself. In fact, engineers improve on technology that other engineers create through the course of time and ideas—as well as through the development of new knowledge discovered by scientists. The reason you see math at the center of this cycle is that it’s a tool for communication and for quantifying, analyzing and evaluating observations. It's a key part of both science and engineering. In a classroom that understands and leverages the true nature of science and engineering, students are scientists and engineers on an everyday basis. They are mastering those processes as tools to be able to answer questions and solve problems. This type of education relies on an integrated approach with a dynamic framework that pulls the ideas of earth science, life science, physical science, and engineering/ applications of technology not only through the year, but from one grade level to the next. Good STEM education requires grouping the standards for another reason as well: it’s important to always be reinforcing past standards as you are introducing new ones. Why? Imagine a student who's tested in 4th grade or 5th grade but is new to the district. If they have not been there for the year to learn the information that a teacher is teaching to the test, then they are not able to meet those expectations. This isn’t a function of their actual learning, but rather a function of the fact that they missed the lessons relating directly to the test. Unfortunately, since so many educators think this way – “If we can get students to master the standards, then in fact, they have mastered the test” – students who are new to the district can get left behind. If we want to remove this systemic gap, we must let go of the idea that we teach standards in a linear fashion, one at a time, without real investigation or experience. And that means designing new, NGSS-specific curriculum rather than trying to beef up or “align” that which we already have. The curriculum’s goal should be to address the standards in an integrated way at a grade-appropriate level, introducing mastery and reinforcing one grade level to the next. That way, no matter when a student shows up in your district, they have the ability to interact with the material. They have encountered at least some of the standards before, and are comfortable enough with them that they don’t find a test completely mystifying. Scaffolded units help ensure that students are learning standards in groups, not in isolation. When we teach like this, we help avoid the systemic gap that occurs as students move between districts, so they can come into a new school and be prepared to be tested on that science material rather than being unprepared because teachers are teaching standards in isolation and gearing their instruction only to specific tests. It can be helpful to use the 3 key features—real-world phenomena, students planning their own investigations, and standards taught in groups, not in isolation—to evaluate curriculum to see whether the lessons are designed for the standards or merely superficially aligned to them. 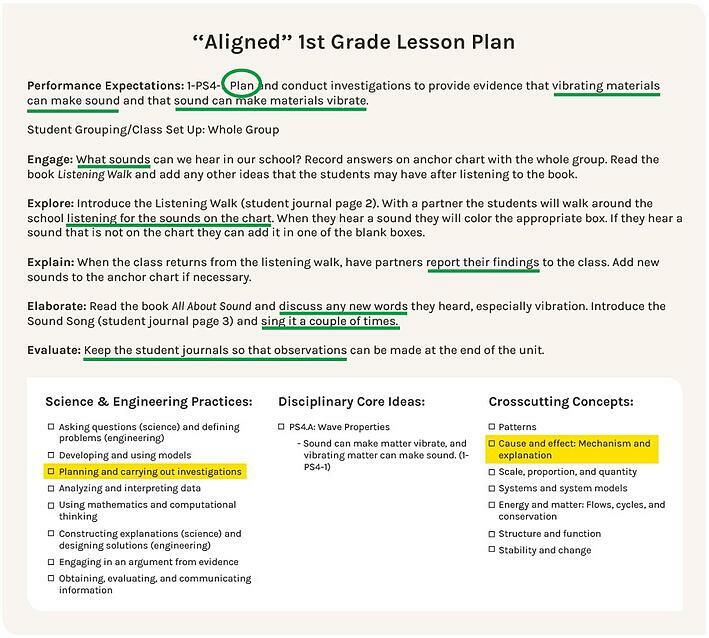 This lesson plan was created for a first-grade classroom, and it demonstrates the gaps in instruction frequently present in lessons that have been redesigned to “align” versus those that have been intentionally designed for NGSS. This first-grade lesson is misleading right out of the gate because although it was not designed for NGSS, it claims to have been. However, a simple review will demonstrate how far off the mark it really is. This lesson pertains to performance expectation 1-PS4-1. What you see circled above are some key parts. This performance expectation requires that a student can plan an investigation and provide evidence that vibrating materials can make sound, and that sound can cause materials to vibrate in turn. That's the expectation of the student but when you look at the lesson plan, the creator has missed the essence of NGSS. For example, the lesson structures engagement around what sounds students can hear at school. The lesson involves recording answers on an anchor chart, reading a book, and so on. Exploring includes listening for sounds on the chart or recording new ones, while explaining is reporting their findings. Elaborating means discussing new words and singing a song a couple of times, while evaluating involves keeping the student's journal so that future observations can be made at the end of the unit. The problem with this approach is that when you look more closely, the student never plans their own investigation. They're never actually providing evidence and connecting it to the idea that vibrating materials make sounds. They're just trying to identify sounds, which is fact-based rather than experience-based. They are being told that sounds vibrate, but how do they actually know? Again, the science and engineering practice of planning and carrying out an investigation is not actually being addressed by this lesson. In fact, students are neither planning nor carrying out the investigation. There's actually no investigation at all, just a song and some pictures. The other piece that the creator thought that this was dealing with is cause and effect: mechanism and explanation. That concept does come from the standards: the standard relating to the mechanism and explanation of cause and effect means you have a cause – like sound causing vibration while moving a material. You could think about the mechanism being sound causing movement or the explanation for the movement being the sound, or vice versa: the movement causing sound and therefore being the mechanism. But none of those ideas are actually happening here. Rather, the lesson focuses not on the concepts underlying this standard, but only on canned activities that relate to it tangentially. This lesson on sound, on the other hand, is designed specifically for the NGSS standard. While students are still guided through the scientific process, since it’s only a 1st-grade lesson, they are still asked to come up with their own prediction and make their own plan for testing it. Students begin the lesson by reading about the different sounds that insects make, and how both insects and people make sounds by making vibrations. Students then begin their investigation to explore hands-on how sounds can make matter vibrate. Students come up with their own prediction to the question. For example, some students might predict that sound can make both water and sand vibrate, while others might predict that sound can make sand vibrate but not water. As a class, students think of how they could use the available materials to test how sound from a vibrating tuning fork affects a small sample of sand and some water in a bowl. The 1st graders then collect the data from their observations and identify different aspects of what happens to both the sand and the water when the vibrating tuning fork is brought near them. Then they can connect their observations to what scientists would call that phenomenon, the idea that sound can make different materials vibrate. Remember, these students are still very young so they need a lot of guidance, but the key point here is that they are investigating and experiencing on their own. Using just a few phenomena-related vocabulary words, you now have a framework and experience for those students rather than a situation in which they’re just hearing the answer. This approach allows students to really grab, retain, and use those vocabulary words over time. That's something we hear over and over again from teachers who use this approach and use our curriculum. This is vastly different from the idea of walking around the school, trying to hear noises, reading a book about noises or singing a song about noises. With that first lesson, there are no real phenomena here, be it anchor, investigative or otherwise. It’s just a rote lesson plan. With KnowAtom, the difference is that the student is a scientist making a prediction, which is their own way of encountering the phenomena, then relating that prediction back to the actual phenomena they encountered during the investigation. Let’s take a moment to consider what the first lesson might look like if it had been truly designed for the next generation standards. How might it be different? Well, for starters, it would involve a real-world context. When is a student going to be walking around listening to objects for no reason? Never, so the original context of this lesson falls far short of the mark. Instead, they need to be engaged in a context in which a scientist or engineer might actually find themselves, then seek evidence of the complex relationship between mechanism and explanation. For instance, students might begin by watching a video of fireworks on the fourth of July, or cars being crushed at a junkyard. Many different situations could act as anchor phenomena; the point is simply that those situations need exist in the real world. In the lesson as it stands, there are no anchor phenomena to encourage identifying problems and questions, to encourage the dissatisfaction that will move them forward. Nor is there any option for their own planning, investigation, observation, and gathering of evidence. Is it coming from the crushing of the material? Is it just the two objects coming together? Now, we have the foundation for an actual investigation. We could bring objects together ourselves. We could crinkle things. We could look at different kinds of materials. What happens when we move them? What kinds of sounds are made? Or we could approach the lesson from the other direction. We could make sounds and see if those sounds can move materials. In so doing, a student actually begins exploring and engaging at an investigative level with the phenomena, which in turn becomes a platform to explain the more complex real-world scenario. After that, we could come back as a group and pool our findings and reflect together, then elaborate on what we saw not only in our own investigations, but also in the original anchor phenomena. That is what becomes the platform for evaluating our ideas, each other's findings, human error, and so on. That is really what's at the root of the Next Generation Science Standards: planning and carrying out investigations, looking at causes and effects, thinking critically about mechanisms and explanations, and using the tools and techniques that actual scientists and engineers use. Districts that want to successfully implement the Next Generation Science Standards will need to make sure that any curriculum they choose is actually designed for the Next Generation Science Standards and not just superficially aligned to them. If you would like more information, please reach out and we would be happy to have a conversation with you about how we might help to meet the needs of your students, your classroom or your district.